Sonic experiences – music, talks, conversations – function as important events in which to stage encounters for human collective experience. In addition to generating opportunities for individuals to gather in the formation of temporary communities, sound is also an area of focus for contemporary artists and artists’ collectives across the world, many of whom share radical goals. Making and presenting experimental work in the space of sound and listening in Taiwan and involves different challenges and opportunities than in Australia. Australia and Taiwan both have a strong history of self-organisation in which collectivism figures as a response to specific local conditions. Perhaps the question of how to live as a creative practitioner under late capitalism creates another context of shared experience from which we can converse and listen. The demands of (self-)production in the neoliberal regimes of cultural expression of the international artworld generate significant forces with which artists must contend, whether working individually, collectively – or, as is most often the case, across both solo and collective practice. What are some of the affordances of sound and listening for artists seeking collective and collaborative approaches to artistic production in Australia and Taiwan? Can a dialogue across sound cultures help us to listen differently, more deeply, with more sensitivity for nuances of voice, noise and silence? What rituals of collective listening might help us achieve this? This symposium program stages a series of encounters between Taiwanese and Australian artists, critics, producers and musicians within the prestigious setting of the National Taiwan Museum of Art. Presented by Liquid Architecture, Australia’s premiere sound art organisation, with keynote introductions by leading artist Hong-Kai Wang and curator-researcher Jeph Lo, the symposium will explore notions of individual and collective practice in sound and listening in the setting of intercultural dialogue and exchange. The symposium will include keynote speeches, artist and collective interviews, and musical performances. Acid House are an experimental collective based in New Taipei City. Their work encompasses music, performances and experimental conversations within a communal setting. rather than being slowed down by your brain needing to figure out how to say the words first. The fake as a complex sign that shapes new myths, values and contemporary commodity production. A political space is often opened where contradictions and complex relations occur. Rather than constructing a biography that illustrates, it seems more interesting to explore a political history of an artist's friendship with his collaborators and interlocutors, including myself. 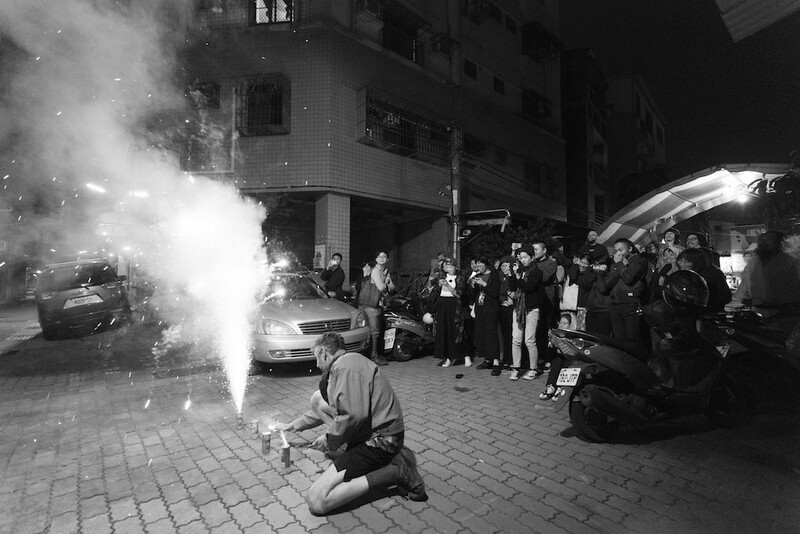 not a festival per se; rather, LSF is a regular sound performance event taking place in Taipei.